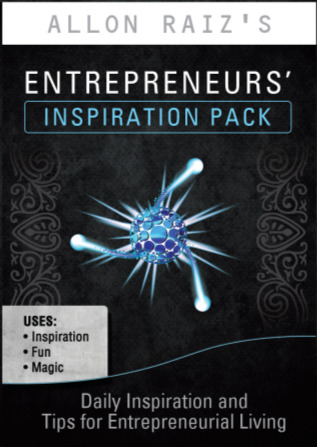 The Entrepreneurs’ Inspiration Pack is a deck of 52 playing cards used by entrepreneurs as a powerful tool to maintain high levels of energy and focus needed to run a business. To use them, you shuffle the cards and then draw one card per week, follow the instruction on the card and repeat the instruction if you can. The four suits divide the instructions into different categories. Clubs – 13 Tips and exercises on Networking. Spades – 13 Tips and building block tools for entrepreneurial businesses. Hearts – 13 Tips and exercises on how to keep motivated and passionate. And finally Diamonds – 13 Lateral thinking exercises for your business (also good for getting you out of that rut!! ).